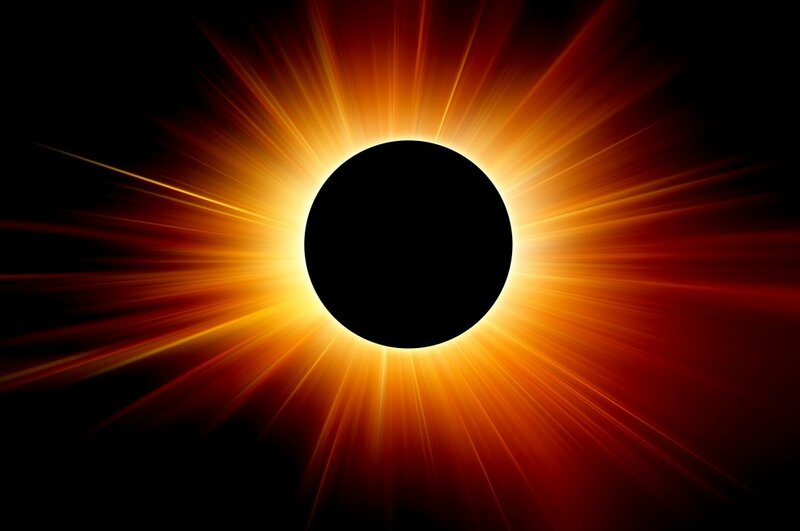 In just a few days, half the country will experience a total eclipse of the sun. There is much excitement and nervousness in towns from Oregon to Georgia. People everywhere are travelling to the totality zone to catch a peak. Hotels, Bed and Breakfasts and most camp sites have long waitlists; so naturally, many people who want to be part of the phenomenon have limited options. If you own a home with a spare bedroom or you have free space in your apartment, you may be tempted to rent out that space to a complete stranger using one of the many short-term rental services, like Airbnb, HomeAway and others. You might even make your yard available for anyone willing to pay a few bucks to pitch a tent. These services are very popular. For hosts, the apparent ease of making some quick cash and meeting new people is alluring. Most rentals probably go smoothly or these services would not have lasted so long or grown so fast. And they are not just for one-off spectacles –every city has its share of conventions, sporting events and tourism locales that would make your vacant space a prime candidate for guests. With all the good news, there are a fair number of horror stories – people who trash their apartments, do drugs or run a brothel, those that won’t move out or put up false complaints to get a refund. I would assume these probably are not common occurrences even though they get a lot of attention. And there are lots of articles on line about these problems and how to avoid them. But one area that doesn’t seem to get as much attention are the legal barriers and issues that can arise. There are many, but here are five things you must consider before signing up your first guests. State and Federal Law. Some states have laws on the books or they are considering new laws that will directly regulate hosts who rent out their properties. Typically, these will be concerned with revenue (i.e. taxes), reducing affordable housing, health and safety. They might also be designed to protect the hotel industry by restricting competition. You best know about these laws in advance and be certain to follow them. You should also have a very good understanding of your state’s tenancy laws. For instance, you do not want to inadvertently create a long-term occupancy requiring a formal eviction which might happen if you rent to the same person for more than 30 days. And short of that, you might be subject to rooming house laws. There are also federal and state discrimination laws that apply to rental housing. You will need to consult with an attorney to get a complete picture of what might apply to you. Local Laws. Counties, cities and towns may enact ordinances about rental housing, rooming houses and the like. These may directly or indirectly regulate the short-term rental industry. There are also health and safety codes that must be followed, and the rules may be different for an income property than they are for a homeowner. Check with your local authorities before entering into your first rental agreement. Airbnb lists some of these on their web site, but that should be your starting point only — do not rely on a web site for legal advice. Leases, Condos, Coops and Homeowners Associations.. If you rent, or if you live in a condominium or coop, then check your documents very carefully. Landlords, condo associations, coop boards and homeowner associations frequently have language in the governing documents that prohibit or restrict sublets or short-term rentals. Or they can make use of other language in the condominium documents such as business use restrictions to prohibit short term rentals. Making a mistake here can get you evicted, fined or both. Insurance. Do NOT assume that your homeowners or renters insurance will cover you for property damage or if someone is injured. Check with your agent or the insurance company and make sure that he or she knows you are considering a rental. Ask them to review your policy for coverage and/or exclusions that would affect you. Any type of loss, especially due to personal injury, could be catastrophic if you do not have adequate coverage. The last thing you need when that happens is a fight with your insurance company. The rental companies might provide hosts with coverage, but you should study exactly what coverage is provided, including the types of events, the nature of claims that can be pursued and the limits of the policies. If you don’t understand what these are, then work with your broker or agent and ask them if you have sufficient coverage or if you should purchase more. Terms and Conditions. Be sure to read and understand the terms and conditions of the rental company. These will govern your rights and obligations both to your guests and the rental company. You should also be aware that these companies have the right to change their terms and conditions and frequently do make changes. Are you considering renting space in your home or apartment? Do you need advice on avoiding issues with guests and the rental companies? Would you like assistance reviewing your lease or condominium documents? Please contact me either by phone, email or through this web site. I am pleased to offer a free initial consultation and reasonable rates.